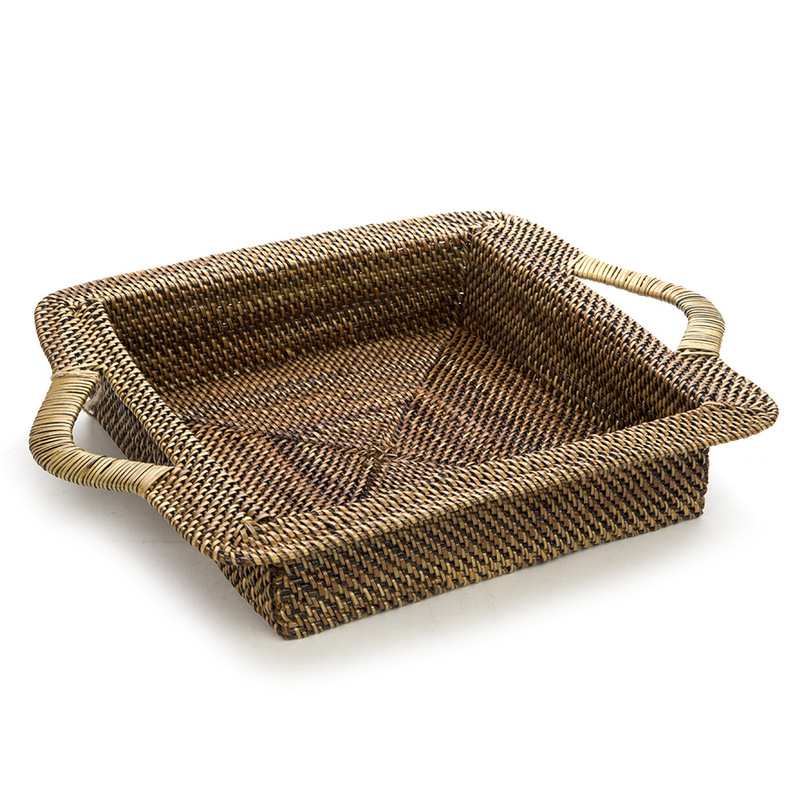 Please note: if you are serving food in your Calaisio piece, you will first need to place your food in a dish, and then place it within the rattan vessel to prevent damage. Dimensions (excluding handles): 30cm (l) x 30cm (w) x 7cm (h). Suits Dish Size: up to 25cm (l) x 25cm (w), approximately.